I'd be hard pushed to tell you what my favourite flower is, but dahlias would definitely be on the shortlist. I love their loud, overblown colourfulness and big, bold shapes. I've loved them for years, since the good old days when you could buy them cheap in the greengrocers for £1.50 a bunch. They've become more popular in recent years and so of course that means more expensive, but they're still lemonade pocket-friendly, and last a good long time. 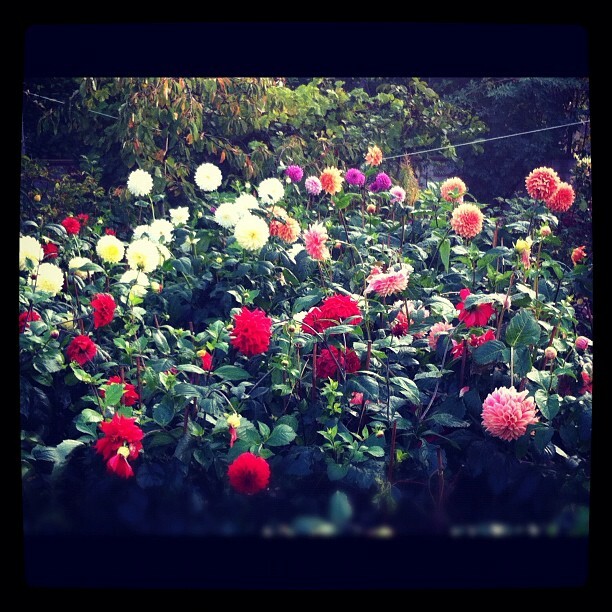 On my way to work, I pass a garden packed to the rafters with huge, multi-coloured dahlias, and it never fails to cheer me up and shake me out of my morning stupour. I stopped this morning to try and take a pic - I was battling with the mist slightly, but hope you get the idea. I too love dahlias. 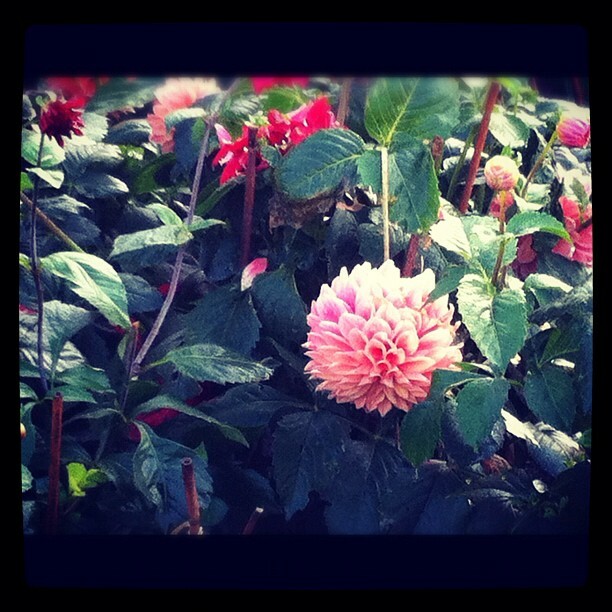 My journey to work is brightened up by the lavish display of dahlias outside our local church hall. They are huge and still going strong in November. This blog takes me back to our university days when I picked up a lovely bunch for you from Allerton Road. I do recall that they were home to a number of earwigs - is this a common problem?